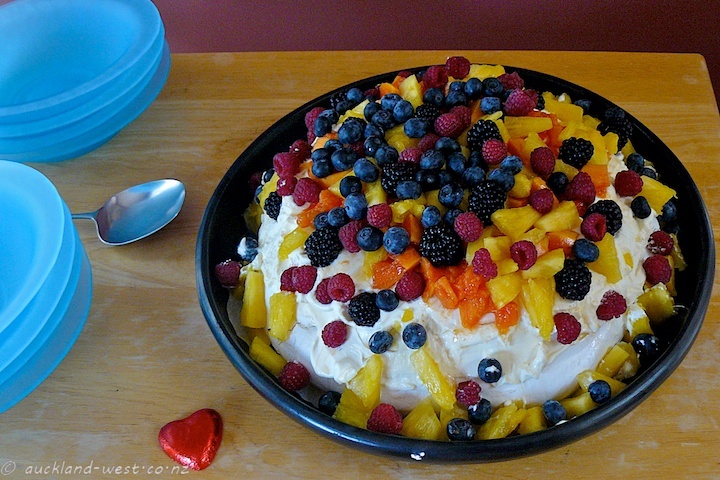 It is a fact known to all right-thinking people that this jewel of a dessert that is a pavlova is a New Zealand invention; although, there are occasional attempts to discredit this truth, mainly from inhabitants of the large island in the west… Everybody, however, agrees that it is a meringue-based dessert named after the Russian ballet dancer Anna Pavlova, and that it is delicious. The specimen in the picture is well hidden under lashings of whipped cream and generous dollops of fruit — it may have looked large, but with the help of our guests it disappeared in no time. 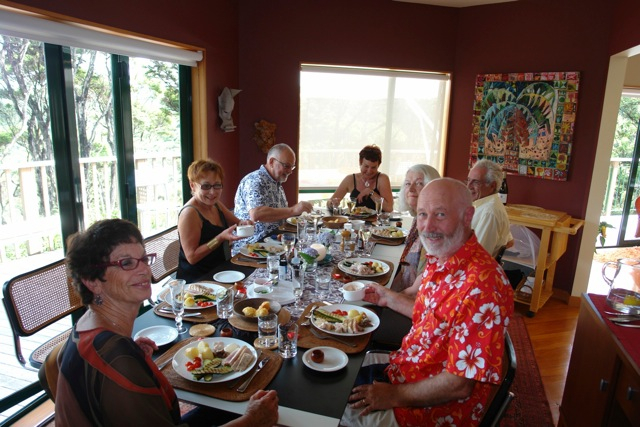 Stuart kindly took a picture of a merry lunch – he is the one behind the camera.